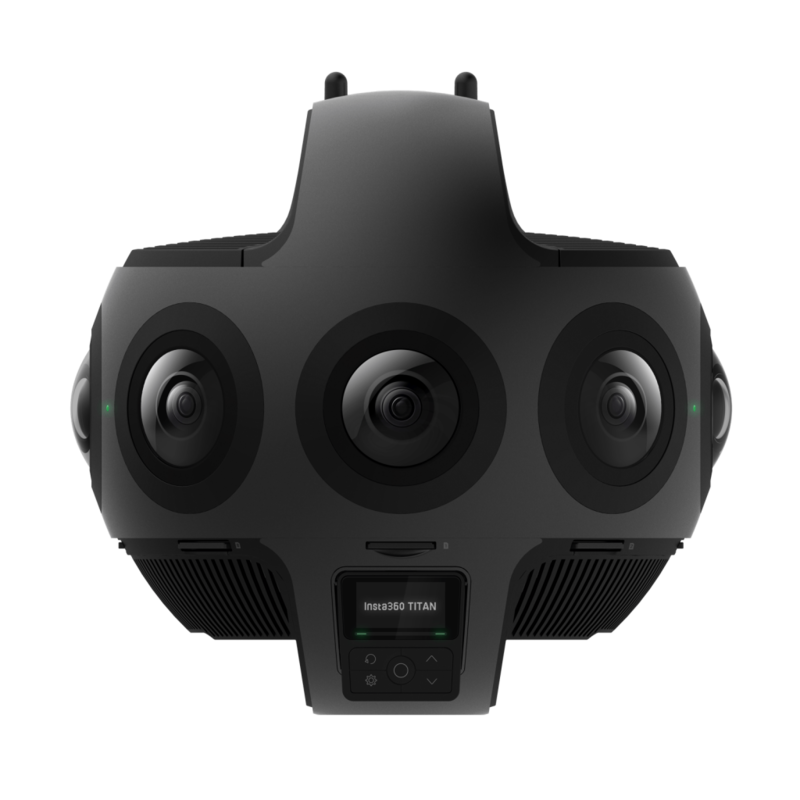 Insta360 has announced the Titan, an eight-lens cinematic VR camera that captures 360 photos and video at up to 11K monoscopic and 10K 3D resolutions. The Titan uses eight Micro Four Thirds (MFT) sensors, the largest sensors available in any standalone VR camera. The MFT sensors maximize image quality, dynamic range, low-light performance, and color depth, raising the bar for realism in high-end professional VR capture. The Titan is the first standalone 360 camera ready to record in 11K monoscopic and up to 10K 3D at 30 FPS. Additionally, it can also record 8K at 60 FPS and 5.3K at 120 FPS. With 360-degree and VR content, there is a need for high resolution since the image is a lot larger than traditional capture. 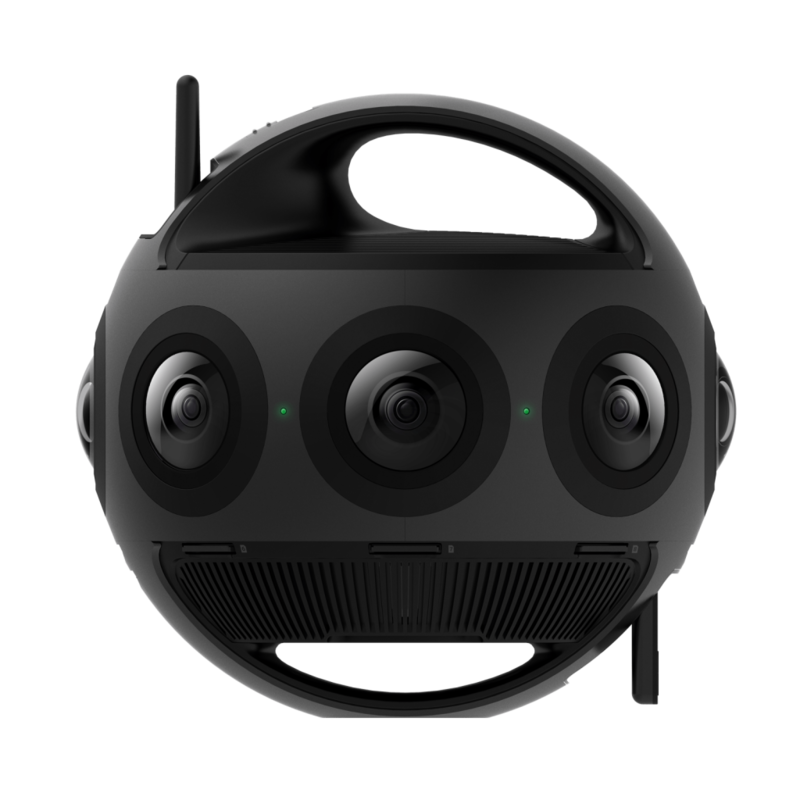 The 360 camera uses an array of eight micro four-thirds sized sensors for high-performance which support shooting in 10-bit colour and HDR shooting modes. As found in Insta360’s other VR cameras, the Titan also uses their signature FlowState Stabilization technology for smooth video. Also found in the Titan is the Farsight technology for wirelessly monitoring the footage from a distance since you generally have to be completely out of the shot in all directions for 360-degree capture. The Titan comes standard with a Farsight transmitter and receiver. To help deliver a smooth experience, CrystalView renders out only what is required and not the complete 360 space, saving processing power. 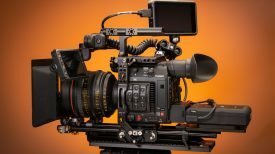 On the interface side of things, the Titan looks similar to their other cameras like the Pro 2, with multiple memory card slots to record each sensor, plus another for proxy recording. a small display with buttons for adjusting settings and a large handle surface. The Titan is a cinema-grade camera and is priced at $14,999 USD. You can reserve your Insta360 Titan from today with a refundable $150 USD deposit with the units expected to first ship in April. 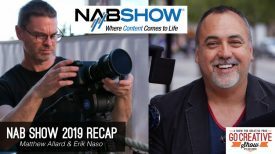 H264 in-camera, H265, and ProRES 422 HQ are available when post stitching. 3840 x 1920 @30 fps ( 4K 2D livestream ) can store 8K video while livestreaming. 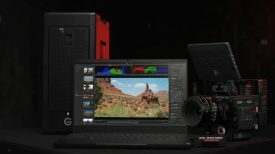 3840 x 3840 @30 fps ( 4K 3D livestream ) can store 6K 3D video while livestreaming. Note: Both RAW and JPG can be selected for simultaneous shooting for synthetic HDR photos and all other photo modes. 802.11 b/g/n, 2.4GHz. Signal range is about 20 meters in open space. Max preview framerate of 30 FPS, supported in roughly 5-meter range.